As a business management consultant Lucas Jubb has helped organizations and businesses improve overall performance and develop key strategies to grow and excel. Throughout his life and career, Lucas Jubb has always been interested in the ins and outs of how a business works and operates daily both on a large and small scale. There are so many tiny details and efforts that go into the development of a business and even the smallest detail can make or break a company’s success. With increased competition combined with the fast paced environment of constantly changing trends and industry standards, it can be hard for a business to keep up and consistently think outside the box to keep consumers interested in their products and ideas. As someone interested in helping others and improving the world in small, meaningful ways, Lucas Jubb decided to establish a career in business management consulting. Throughout his career, he has worked with business and organizations in a variety of sectors and industries including larger corporations, small businesses, startups, and more. When Lucas Jubb takes on a new client, he implements a customized and tailored approach to meet the unique needs of the particular organization at hand. While there are some well known “best practices” in management consulting, each concept needs to be broken down and tweaked in certain ways to ensure it is the right for for the client. 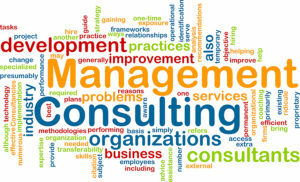 Put simply, business management consulting services deal primarily with the observing and analyzing the existing problems or challenges within an organization and developing plans and strategies for improvement, growth, and sustainability.